A one day food safety symposium was held at the Laico Regency, Nairobi on the 19th of January 2017. The symposium was organized by Food Science and Technology Platform of Kenya (FoSTeP-K) with support from International Union of Food Science and Technology (IUFoST) and was attended by 106 participants including local and international partners (at least 12 countries being represented), who are keen to form strong linkages with African countries even as the continent races to improve its food safety systems. 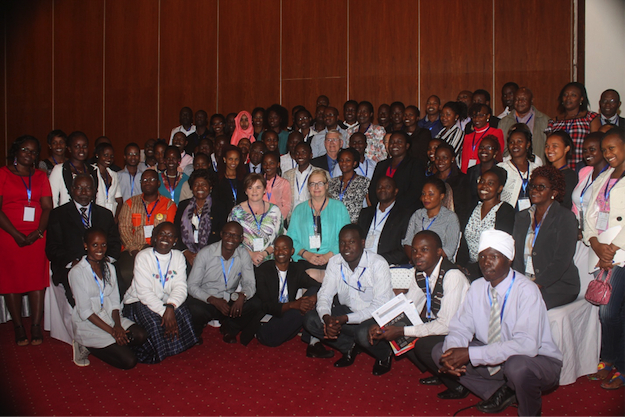 The symposium was chaired by Dr. George Abong’, a lecturer from the Department of Food Science, Nutrition and Technology, University of Nairobi and the current chair of the FoSTeP-K and was officially opened by Judith Meech (IUFoST Secretary General, Canada), Hon. Prof. Ruth Oniang’o (IAFOST President and FoSTeP-K Patron, Kenya) and Dr. Cheikh Ndiaye (Consultant, Senegal). 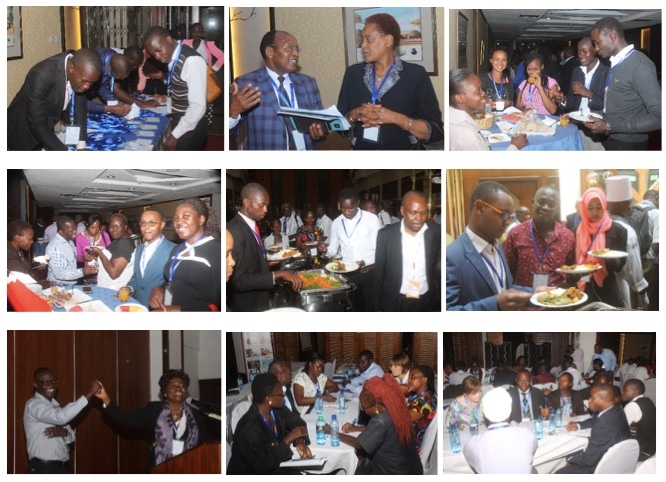 Interactive sessions with seasoned food safety experts included key aspects such as: current food safety scenario in Kenya and Uganda (Prof. Archileo Kaaya); Misconceptions and misinformation on Food Additives with special emphasis on salt (Dr. Ing. Donald Mercer, Canada); Role of Food Industries in assuring Food Safety in Kenya, Mr. Kevin Ouma (Tropical Heat Ltd) and Mr. Alex Ngahu (Nestle Kenya Ltd); Food Safety Concerns of GMOs, Prof. T. Mutui of National Biosafety Authority of Kenya; European labelling approaches to promote consumer education and selection of packaged foods, Dr. Pamela Byrne (Chief Executive Officer, Food Safety Authority of Ireland (FSAI); Contribution of African Higher education to food safety, Prof. Anakalo Shitandi, Kisii University, Kenya. Group discussions featured a number of topics in the area of Food Science and the Global Food Safety Curriculum being developed by IUFoST with support from the World Bank. The department of Food Science, Nutrition and Technology University of Nairobi had great interest especially on the curriculum development. They were represented by Chairman of the department and other staff members. Officials from IUFoST were represented during the symposium led by their Secretary General Judith Meech who gave the opening remarks after an introductory session where all the delegates had the opportunity to introduce themselves. Judith expounded on the role of IUFoST to the global food industry. The organization works closely with WHO and FAO where they play a consultative role in the food safety value chain- processing to marketing and consumption. IUFoST is also involved in educating and training professionals through International Academy of Food Science and Technology (IAFoST) whose current president is Prof. Ruth Oniang’o. According to Judith, IUFoST is also greatly involved in improvement of scientific communication to separate science from fiction in matters of food safety. She was very excited to be in attendance and congratulated the food professionals for the great work they are doing in the industry. Prof. Ruth Oniang’o in her remarks emphasized on the importance of staying relevant in the industry. “If I cannot find your name on the google in relation to scholarly work in food and nutrition and related fields then you are not performing your role as a scientist”, she said. As the president of IAFoST and the Founder and Editor-in-Chief of The Food, Agriculture, Nutrition and Development (AJFAND), she encouraged the young scientists present to leave a lasting mark in their profession and to interact with the experienced speakers and delegates in attendance. As the patron of the FoSTeP-K, she acknowledged the presence of IUFoST members, Don Mercer and Judith Meech as well as other participants. She also acknowledged the private sector and food industries, and the regulatory bodies and requested the speakers to mentor the young and up-coming scientists. According to Dr. Cheikh Ndiaye, the symposium was a timely event due to recent food safety and security concerns in Africa ranging from food borne illnesses and pandemics, wars, calamities, safety of street foods, new and emerging technologies and substandard foods and food losses and regulatory concerns especially for street foods. Dr. Ndiaye is the current executive director of the Food Information Council for Africa, an organization that aims at bridging the gap between Science and Communication. They work to translate scientific research into clear and useful information for opinion leaders, industries, and consumers in Africa. He emphasized on the need to understand food safety and to consult and communicate. He encouraged participants to use the event as a platform for sharing information and an experience to promote food safety for effectiveness and efficiency in control of potential Food Safety risks and public health concerns. Dr. Ndiaye also called to attention the need to improve food safety and security for a healthy and productive lives. He acknowledged participation of experts and technicians whose commitment and contribution has greatly improved regional food safety and thanked everyone who made it possible to organize the one-day workshop. The NFCS is a multi-agency association working through the combined effort of diverse government ministries, private sector and consumers. Ministries involved are such as the Ministries of health, Agriculture livestock and fisheries, Trade, water and environment and local government. The disadvantage, however, according to Prof Kaaya is Inadequate coordination hence duplication of roles, fragmentation, outdated laws and insufficient capacity in scientific data generation. For this reason the government of Uganda is drafting the National Food and Drug Authority policy- 2017 that will be out in February 2017. This will have all the food laws and Acts of Uganda. This food safety bill-2017 among other interventions will go a long way in improving the state of food safety in Uganda emphasized. Private sector stakeholders were not left out of the discussion either. Kelvin Ouma from Tropical Heat Ltd (formally Deepa Industries) and Alex Ngahu from Nestle Kenya Ltd spoke extensively on the role of industry in assuring food safety. Tropical Heat Ltd, a leading snack and spices company in Kenya employ a farm to fork approach whereby they have food safety trainers and inspectors through the entire food chain. They put emphasis on the quality of potatoes, peanuts, spices and corn oil as their raw materials. They train spice and potato farmers on Good Agricultural practices which have a great impact of the quality and safety of raw materials that they receive. As an exporter to 14 countries including the US and the UK, Tropical Heat called for the need to harmonize food safety standards which are the main hindrances in food exports. Alex Ngahu, Nestle’s head of Food Safety in Equatorial Africa indicated their role in food safety. Food safety is extremely important which is why Nestle is FSSC 22000 certified, the highest food safety certification currently. Alex highlighted the various hazards in food processing, the need for a farm to fork approach in hazard analysis and risk assessment, Prerequisite programs and a HACCP system to prevent food safety related cases such as what happened to Nestle’s Maggi noodles in India. ‘We ultimately do what we do as food safety experts for the benefit of the consumer. Therefore when the consumer is misinformed or not informed at all our goals are not achieved.’ Donald Mercer. According to Donald Mercer, an associate Professor of Food Science in Canada and a fellow of IAFoST, a consumer’s scientific literacy levels can be equated to that of an 8th grade Student and this affects their perception with regards to food additives. Information, depending on how it is disseminated may create confusion and panic due to lack of thought or impression as a result of selective hearing and vision on the consumers’ part. Also due to influence by celebrities, tabloids and news sources. Dr. Mercer used an example of salt as a food additive and based his presentation on an article in the internet from a Canadian food blogger about table salt vs Himalayan pink salt. The common misconception here being that Himalayan pink salt is better than table salt when in actual fact it’s not. Consumers go for the easy to understand information that is in plenty in the internet rather than technical scientific facts. It is therefore imperative that those people giving information are well informed in order to guide the consumer appropriately. The speaker of the day was Prof. T. Mutui of the National Biosafety Authority of Kenya (NBA). The National Biosafety Authority ensures safe development, transfer and use of GMOs in Kenya. It regulates research and approves commercial facilities for GMO production and Promotes awareness in the country. It is the mandate of the biosafety authority to carry out Food safety testing of GM foods. This exercise is governed by risk assessment just as much as the CODEX practice. The checks performed include but not limited to allergenicity, toxicity, nutritional composition of the transgenic vs normal food on a case by case basis. This is because the major food safety issues with regards to GM foods are Allergens, toxins, acrylamides, gene transfer causing unintended effects such as dwarfisms of plants or development of some anti-nutrients. The laws governing use of GMOs in Kenya are contained in the Biosafety Act (2009) and these cover issues around regulation-contained use, environmental release, Labelling- for awareness, if product contains GM ingredient, traceability, GM label trademark and also transport and authorization. This topic was geared towards educating participants on how other countries work to promote consumer education and selection of packaged foods and was presented by Dr. Pamela Bryne- Chief Executive Officer, Food Safety Authority of Ireland (FSAI). In her remarks, she pointed out that labelling is mandatory as in General Food Law. It is the basis for making informed choices for consumers and protects consumers from fraudulent adulteration or being misled. Labels should be clear, legible and easy to understand, written in English and should not mislead the consumer. They should include name of product, list of ingredients, and origin of ingredients. Allergen information must be distinguished- in bold e.g. containing- wheat, soya, peanuts. Nutrition declaration on the labels must be present and in a particular order as is highlighted in the labelling requirements. Dr. Bryne also stressed on the importance of Traceability systems and encouraged delegates to visit the EU commission website which has all the information on labelling. Ireland has effective customer complain call centre where thousands of calls are received yearly. Dr. Gerald Moy, a Retired Senior Food Safety Scientist with WHO and currently the IUFoST food safety committee co-chair spoke on emerging issues in food borne diseases. According to the 2015 WHO global report on food borne diseases the most frequent diseases are diarrhea, Norovirus, Campylobacter and Salmonella. Generally there are 31 foodborne disease vectors-11 diarrheal disease agents, 7 bacterial, 3 protozoans, 7 invasive diseases, 3 chemicals. He elaborated that in 2010, 33 million people were affected by food borne illnesses whereby a DALYs (Disability Adjusted Life years) tool was used to analyze incidences, mortality and disease burden. Dr. Moy also highlighted other causes of food borne disease which include mycotoxins known to cause stunting in children, fetal and neonate toxicities and effects on immunity and gut and allergens. He indicated that four approaches for intervention would be dietary diversity, Guidance on emergencies, Packaging interventions, sorting out of e.g. mycotoxin infested peanuts and Nixtamalization in reducing Aflatoxin in maize among other things. Dr. Moy also spoke on the use of approved antibiotics in order to reduce microbial resistance. One Health Initiative- WHO/FAO/OIE- has library and monitoring tools for the Antimicrobial Resistance Initiative. In addition to this there are new microbiology methods such as whole genome sequencing which gives results of microbial analysis within 12-24 hours. This has gone a long way in improving disease epidemiology that caters for the Need to have rapid and cheap diagnosis for investigation and surveillance. Also trending is the Global Microbial Identifier (GMI) for real-time disease surveillance. This is a database for microbes that will help in disease outbreak control through faster identification of causative agents. Prof. Anakalo Shitandi spoke on the role of the Universities in assuring Food Safety. He noted that currently there are 14 out of 70 universities offering Food Science and related courses in Kenya alone. Out of these, only 3 are offering research and outreach hence the need for more. He asserted that the university plays a major role in food safety by making contributions on government advisory boards, consumer advisory, professional advisory committees, scientific societies, academia, manufacturers, observers, research and publication, capacity enhancement and food standards development. Universities are also actively involved in Food safety research emerging issues such as toxigenomics, microbiology, immunology, epidemiology and bio-informantics. This is enhanced by donors such as USAID and World Bank funding food safety research through improvement of specialized labs in the universities. The Universities also on their own accord have initiatives such as research on pesticides, antimicrobial resistance, extension and outreach to educate and create awareness on issues affecting the immediate community e.g. adulteration of milk using antibiotics. Dr Anakalo ended by recommending more education to be offered on GAP, GMP, HACCP, GHP, Global collaboration and participation at the University level. Mr. Samuel Onjolo of Kenya Bureau of Standards (KEBS) wrapped the presentations through elaborate presentation on the critical role of KEBS in Kenya. KEBS is the regulator for all foods in Kenya and is in charge of standards development through technical Committees that include regulators, civil society, manufactures, research organizations, consumer organizations, academic institutions and interested parties.They are also charged with the responsibility of law enforcement through surveillance, customer complaints handling through Hotline/ Text message (few calls because of low consumer awareness), liaison and linkage between public and private sector. KEBS is also involved in Public participation through quality marks such as the most common S MARK (Standard Mark), ISM and the Diamond Mark of quality. In the afternoon session participants were divided into 9 groups where they discussed and presented on emerging issues in food safety in Africa. In the second break out session the groups were able to discuss and present the key areas of interest and major courses that would be necessary for a global Food Safety and Quality curriculum right from Undergraduate level to masters level. This section gives outcome of group discussions: Session one gives top ten issues raised by groups and gaps to be filled while session two gives discussions on curriculum. 1. Improper post-harvest handling causes food losses. 13. At consumption, approximately 25% of the food is left on the plate. Is it fashion? 1. Attach students across the farm to fork chain at all levels to gain general understanding of food safety issues. 2. Attachments in 2 phases- In first and second year and also in third and fourth year. 4. Quality assurance and safety of street and traditional foods. 5. Poor dissemination of knowledge/information- Not well disseminated to the masses, information is released in workshops and symposiums instead. 6. Low capacity in utilization of available knowledge- Data may be available but how does it reach to the farmer in the village? 9. Culture, People may not be ready to break away from some traditional practices that may predispose to food safety hazards. 10. Poverty-Leaves people with minimal choice for food so they consume whatever is available regardless of its safety. 2. Develop curriculum that is tailored at all levels; as early as primary school. 7. Involve media in food safety issues so that they communicate the right information. 5. Training in good practices along the food supply chain i.e GMP, GAP, GHP, GLP. 3. Food Safety Management systems. a) Poor quality inputs such as seeds which are not viable, lack disease resistance, wrong active ingredients in synthetic inputs, among other quality issues. b) Presence of uncertified inputs in the market. These products do not have adequate information on usage, dosage, effects on eco system etc. a) Lack of adequate knowledge by farmers on proper use of inputs. c) Poor handling both pre and post-harvest. Can results from limited knowledge. 4. Lack of adequate market for fresh indigenous vegetables. This means produce spoils while still at the farm or produce of poor quality reach the consumer. 5. Transport: Poor infrastructure e.g. Lack of cold chain systems, poor roads, inappropriate packaging and preservation. 6. Limited knowledge on food safety and handling among transporters. 7. Lack of proper facilities for processing, preservation and storage. 8. Fluctuation in quality of these veggies means that processed products cannot be consistent with regards to quality and safety. 1. Corruption- bribery of officials to endorse products that do not comply with the laws. 4. Political interference. This ties the regulators from doing their job e.g. closing down a food factory that does not comply. 9. Political instability as a results of war, drought or floods which brings about food insecurity. 4. 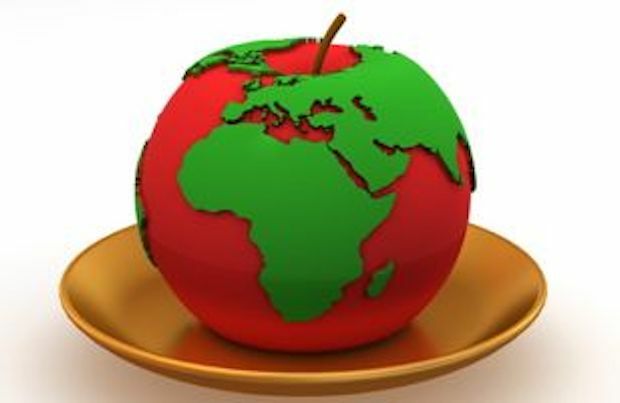 Food fortification to cater for nutrition needs not met by processed foods e.g. maize meal. 2. Agro climatic conditions and proper hazard detection principles to be incorporated (filtration analysis), Food spoilage and preservation methods. 2. Constant screening, reassessment on the eligibility, authenticity of our leadership to conformity with emerging issues in the society today. 10. Lack of GAP’s, GMP’s, GHP’s and suitable storage practices. 11. Post processing contamination e.g placement in stores whereby products get contaminated e.g by allergens. 2. Have media publish information from reliable sources for example by translating information into lay terms that can be universally understood. 1. Availability – Limited by climate change, Political instability, poor infrastructure, post-harvest process losses due to inadequate technologies, agricultural practices, Labor issues-aged and diseased farming community. 2. Ability to purchase – Long supply chain, farm gate vs market prices differ greatly due to middlemen. 1. Consumers should be properly informed or joined by those with the expertise in research and academia. Integrating consumer groups with those who have the information. 2. Basic education of the consumer on food hygiene, depending on the type of food it is, whether processed or raw. Empower consumer to understand and practice their role. 6. Employment of qualified scientists in all the sectors of the food and water both at national and county government level to ensure that proper procedures and steps are taken.